The Blower Door test (also known as air pressure leakage testing) is an internationally accepted test procedure according to DIN EN 13829. The objective is to check the building regarding to an inadvertent air exchange between in- and outdoors or between the individual rooms. in the building envelope and to determine the air exchange rate (n50). How does the Blower Door test work? We use a Blower Door measurement device, which consists of a frame that is placed in the door or window opening and a high-performance fan to create the differential pressure. The frame is covered by a blanket (red colored in the picture) to seal the door opening airtight. Special measurement instrumentation is documenting the pressure difference during the test. In the beginning of the measurement an under- or overpressure is created in the building. This helps to locate the leakages and to calculate the air exchange rate (n50). The air exchange rate indicates how often the air volume of the building is exchanged at a constant pressure of 50 Pa. 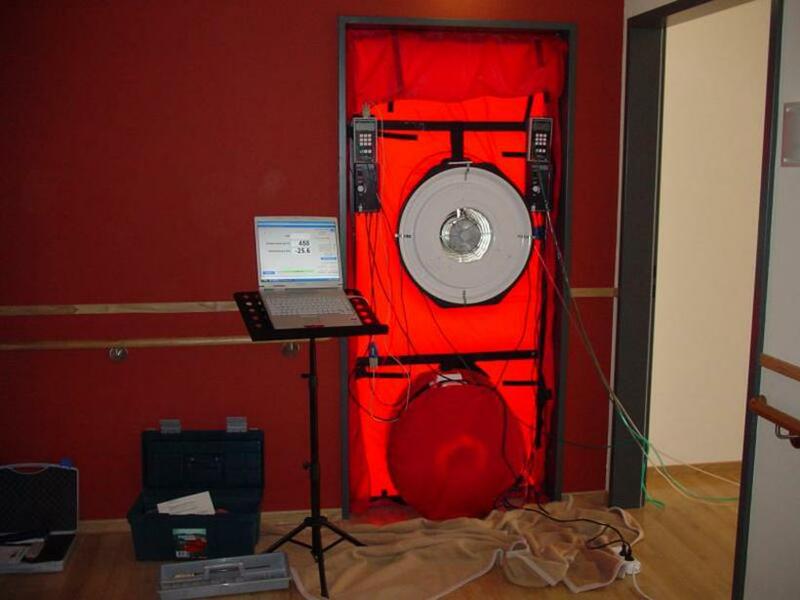 The Blower Door test is used to verify the airtightness of a building. The Blower Door test is possible in the inhabited or uninhabited building. After the measurement procedure you’ll get documentation with the results. You are interested in a Blower Door test or need more information? Contact us! Here you see how a Blower Door test is executed. The Blower Door measurement device is placed into a door or window frame. A high airtightness is very important at this procedure. All apertures are closed airtight. Ventilation shafts are closed with a bladder. With the measurement device the circulated air volume and the air exchange rate are determined. Additionally the direction of airflow can be defined with the smoke generator. Leackages become visible and can be defined more detailed with the thermography camera. The Blower Door test is a procedure to check a building for inadvertent air exchange (air leckages) between the inner building envelope and outdoors and to localize them. Also individual rooms or parts of the building can be evaluated. Why should I order a Blower Door test? To gain an optimal comfortable indoor environment and to minimize the necessary energy for that. Besides this it is needed as confirmation for Development Loan Corporation credit. 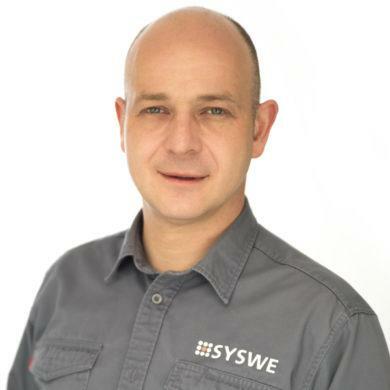 Why should a building be preferably airtight? According to § 6 of the german EnEV (2014), a building owner is obligated to build permanent air tight. That means the whole building envelope has to be as air tight as a masoned and plastered wall. The purpose of this is to save energy. Decreasing the loss of warm (or cooled) air also reduces the heating requirement, to achieve the desired temperature. Why should I order a Blower Door test, if I am occupying the building already? How is this test executed? The Blower Door measurement device is placed into a door or window frame. Additional locations, where air can pass off, like elevators or open pipes are closed previously. While the measurement the air exchange rate is determined with the help of over- and underpressure. What measured values are determined with the test? The measured values are represented corresponding international standards. The air exchange rate [1/h] n50 at a pressure difference of 50 Pa is determined. What costs a Blower Door test? It depends on the interior volume of the building. Please call us, we will send you an offer without any obligations, verified for your requirements. Are there reference values for the measurement that have to be observed? Yes, there are reference values. Airtightness is state of the art since DIN V 4108-7 (11/1996) and after the publication in the Bundesanzeiger no. 140 from 31.07.1998 acknowledged rule of technology of Heat Insulation Ordinance 95. The unrequested execution of airtightness by fabricator and construction supervisor is provided.